What’s a little trash talk among friends? 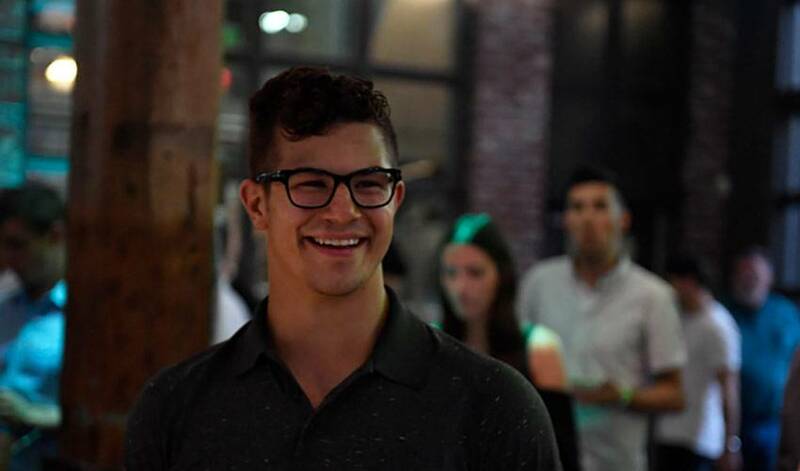 It’s no big deal at all for Connor Carrick and his tight-knit Toronto Maple Leafs teammates. In the minutes leading up to the start of Smashfest VI, the annual charity ping-pong event headed by veteran NHL forward Dominic Moore, the 23-year old Carrick couldn’t help but take a playful poke at a pair of fellow Maple Leafs standing just a couple feet away. Carrick was, however, far kinder to his new teammate Moore, who signed as a free agent with the Maple Leafs on July 1. Carrick, who played in 67 regular season games with Toronto in 2016-17, is unabashedly effusive when talk turns to the upcoming NHL campaign. Coming off a season in which the Maple Leafs surprised many by making the playoff cut, Carrick and his teammates are counting down the days until their first game on October 4 at Winnipeg. The players aren’t the only ones impatiently waiting for the games to begin. It’s something Carrick quickly discovered when he came to Toronto less than a couple of weeks ago. So, too, is the hospitality that Carrick’s received from one of his teammates. Just the type of first-class treatment Carrick has come to expect playing in Toronto. Showcasing some of the NHL’s top young talents in Auston Matthews, Mitch Marner and William Nylander, complemented by a solid veteran presence, the Maple Leafs are eager to build on their post-season experience from 2016-17. Carrick knows it won’t be an easy task.